Are you ready to wake up each morning with more energy and vitality? Are you ready to move through your day with less pain and restriction? Are you ready to take your health and wellness to a whole new level? Then I’m the guy for you. Hi. 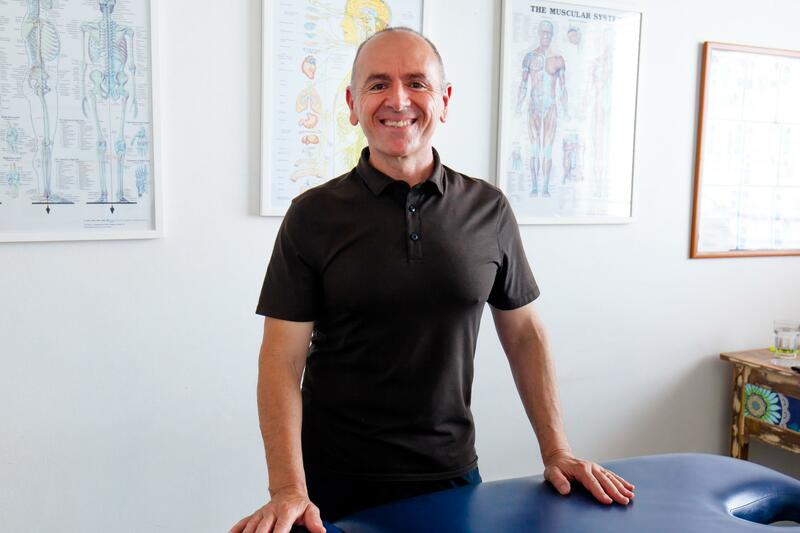 My name is Tony Muratori and I’m a rehabilitation and corrective exercise trainer on the Northern Beaches. I love seeing my clients live a life with less pain, more movement and a greater sense of health and wellbeing in their lives. If you’ve been suffering from back pain for years, or you have a recent back injury that just won’t improve, then I can help. I restore your quality of life by improving your movement and getting you out of pain, so you can do the things you love without restriction. After thirty years in the fitness and wellness industry, I have helped hundreds of clients reach their physical health goals. With me, you’re in good hands. If you’ve tried everything else and you still have pain, then get in touch today. Together we can start your journey back to better health. Book your free, initial consultation today on 0417 218 755 or click here. I offer a range of health services for men and women of all ages and levels of fitness ability. I am a fully trained CHEK practitioner and offer corrective exercise to help my clients become fully active again. I focus on correcting structural and postural imbalances, as well as poor movement from chronic back, neck and other physical conditions. I also offer rehabilitation training to help my clients recover from injuries or operations, and return to their personal, working and sporting lives once more. I apply the Chek methodology of training to offer my clients Sports Conditioning that helps them improve their performance in their chosen sport. I coach them on ways to increase performance and reduce the risk of injury, as well as educating them on the lifestyle and nutrition factors that need to be improved for higher performance levels. Using the Chek Holistic nutrition system I coach my clients to helping them develop clear and specific lifestyle strategies to improve their overall quality of life, from their health and wellbeing to work and relationships. With Nutrition coaching I asses my client’s eating habits and develop a nutrition plan that focusses on teaching them to choose foods that increase overall health, wellbeing and vitality. The Better Back Program provides support and coaching for those with chronic back issues to increase their mobility and general quality of life, while reducing pain and restriction. Unlike other gyms and trainers, I don’t have a ‘one size fits all’ approach to exercise and nutrition. I don’t make quick fix promises to fast-track your progress either, because the results are short-lived. Most trainers today also take the approach of pushing their clients’ way beyond what they are capable of, or what they really want to achieve. I have seen many injuries, and dis-heartened people, from this approach. As a CHEK practitioner I'm here to help you prioritise your health, according to your time and resources, and make long lasting changes to your life.I have sense of pride in my work as a coach and practitioner, and a great understanding for what people really need. I have a great reputation in the industry because I give my clients the right support to get the best results for them. How do I know what I’m talking about? Because I’ve been there! Over twenty years ago, I recovered from a near-fatal car accident that left me in a wheelchair and put an end to my sporting career. I underwent life-threatening operations and had to endure years of rehabilitation that saw me move from life in a wheelchair to being able to exercise again. I am living proof that you can recover from your injuries and chronic conditions and live your life without restriction. Let me help you develop a plan to get your health back on track. Book in today for your free initial consultation, on 0417 218 755 or click here, and let’s get started! I have a unique and personalised approach to the way I see my clients. In the first week with me, you will undergo comprehensive assessments such as: physical assessments; diet assessments; past and current medical history; key foundational principals of health that are causing stress and imbalance to your life . I then help to provide tailored solutions to reduce stress, pain, weight and increase general health and vitality. I will work with you along the way to help you make small and consistent changes to your life. My approach is not a quick fix by any means, it’s a six-twelve month plan that will secure long term health by helping to integrate better health into your daily life. I approach each client from a holistic point of view, not just focussing on their fitness, or rehabilitation, but also their overall health and wellbeing. I don’t just see injuries or physical imbalances as isolated incidents; they are part of a whole-body issue that needs to be addressed. If you’re ready to live a life doing the things you love most free from pain, and getting back to feel physically well all over, then get in touch today and let’s start an exercise and nutrition plan that is tailor made for you! Book your free, initial consultation today on 0417 218 755 or click here.